SORCE will have a tent at MEC bike fest. We will have XC & DH jerseys for sale for $40, Tees for $10 and lots of free stickers and bike park maps to giveaway. Please come by and say hello. There will be lots of exciting events during the day and many other tents to check out from the local cycling community. Come Connect. Come Ride. Come Learn. 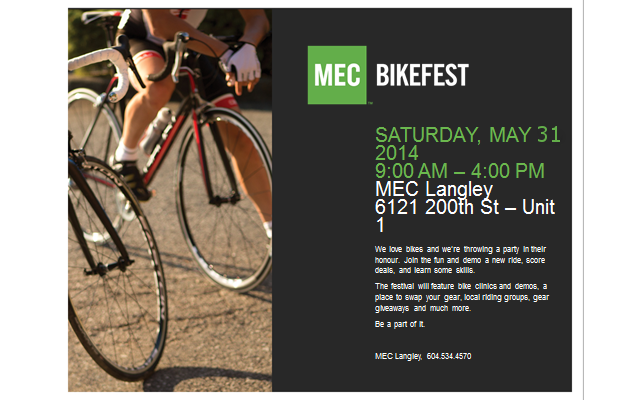 Come Celebrate Langley’s first annual Bike Festival! This event is designed to celebrate the joys of bikes and everything bike related. Come join the fun and connect with the local cycling community. You can try out gear, test ride bikes, have a mechanic look at your bike, attend cycle clinics, yoga and so much more! Full event day schedule soon to come. Take advantage of free learning with our friendly bike experts at the clinics and worskshops. There will also be group rides and activities for kids! 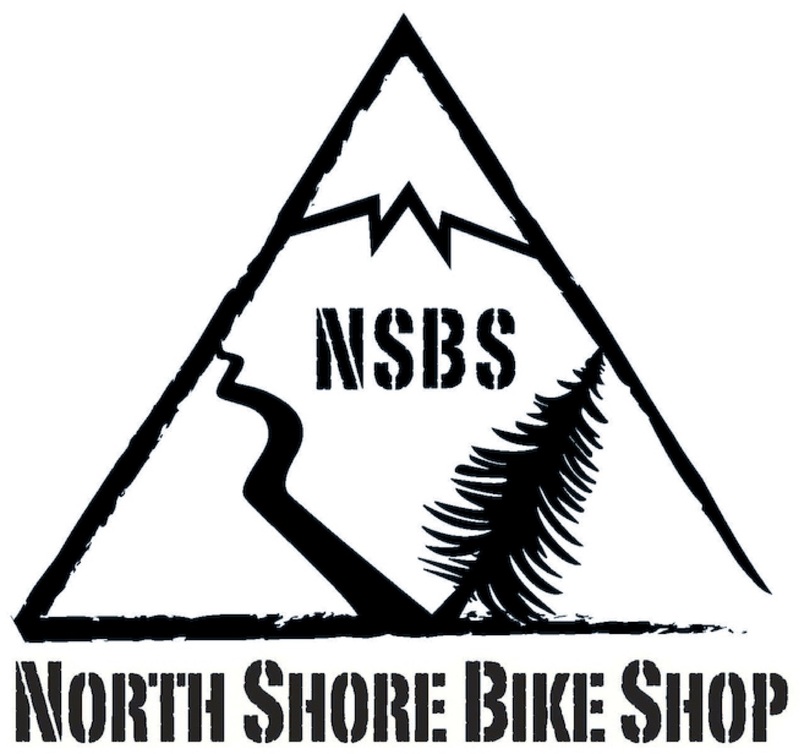 5.SSBP update: overall site plan by professional bike park company is moving forward. 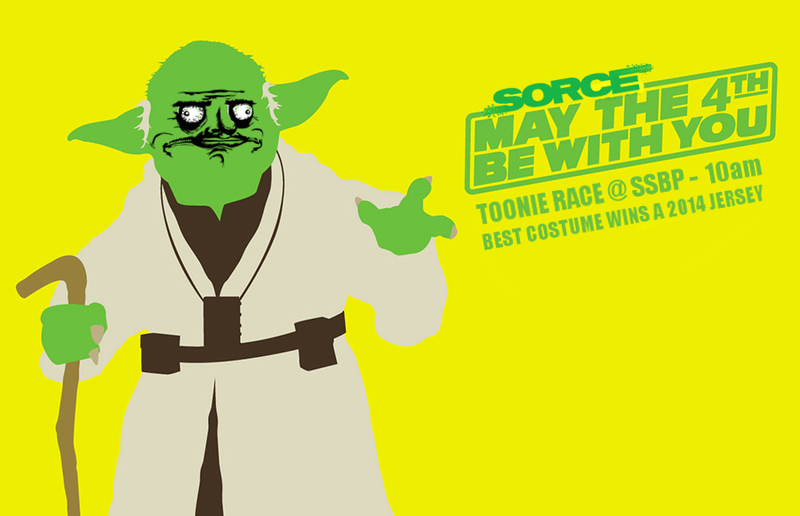 recent SSBP toonie race was a success despite terrible weather we sold a good number of new jerseys and tees. 6. Invergarry update: Alpine bike parks is currently finishing machine work & is nearly ready for hand packing and shaping. SORCE/Alpine will team up for some light trail days in the future when Alpine lets us know. 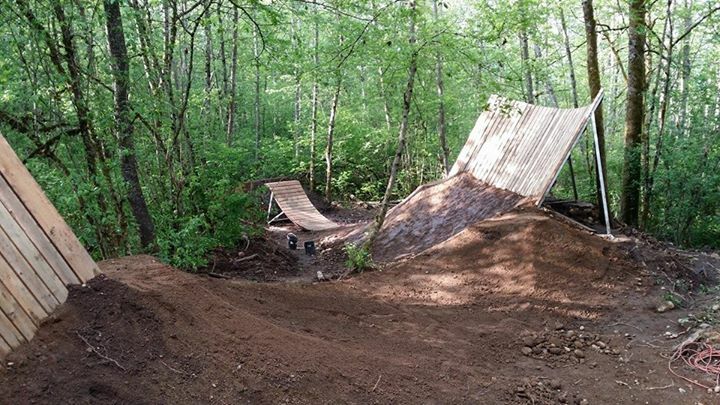 The new trails feature a number of Flow Form features like wall rides, rainbows, table top and step up jumps and will be open to the public Summer 2014. We are looking to combine the Invergarry pumptrack race and grand opening of the new trails on July 6. 7.Port Kells park update:a recent meeting between the City of Surrey and SORCE. We are reshaping and expanding the pump track to cater to beginner intermediate riders. We are going to receive a new lockbox on a concrete pad to prevent theft from digging under the box. The City will reoreint the entrance/perimeter wood fence. 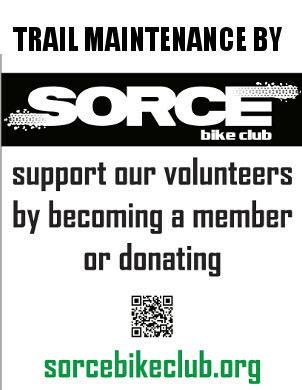 SORCE will hold a trail day June 8 after the machines are done. We intend to buff the jumps and new pump track. 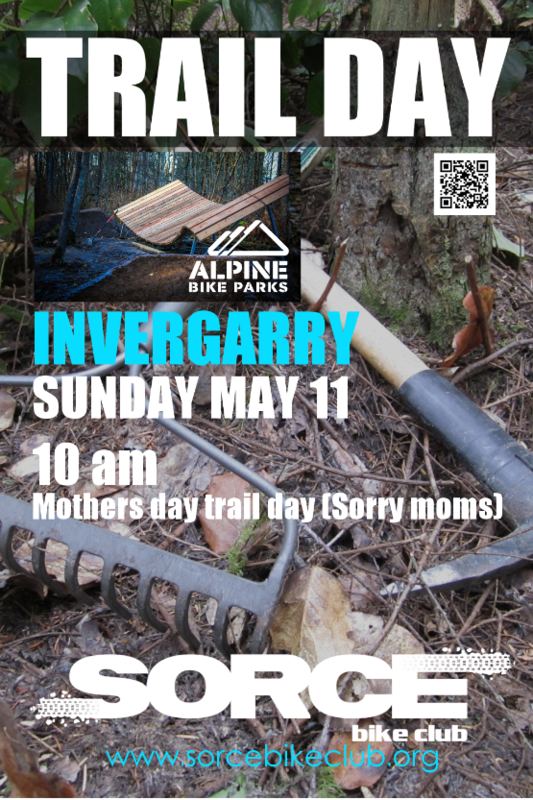 Hey its Mothers Day this weekend... so we thought; why not have a trail day! Sorry Moms:) Invergarry bike park has been under constuction the past two weeks. Alpine Bike Parks has been hard at work putting in a new Green(run bike line) Blue and black diamond trail as well as a new walking trail. We need help doing some light packing and beautifying of the trail area. Bring gloves . All the tools and food & drinks will be provided by SORCE. We look forward to seeing you there!!! Heck, why not bring Mom along for some of the fun! 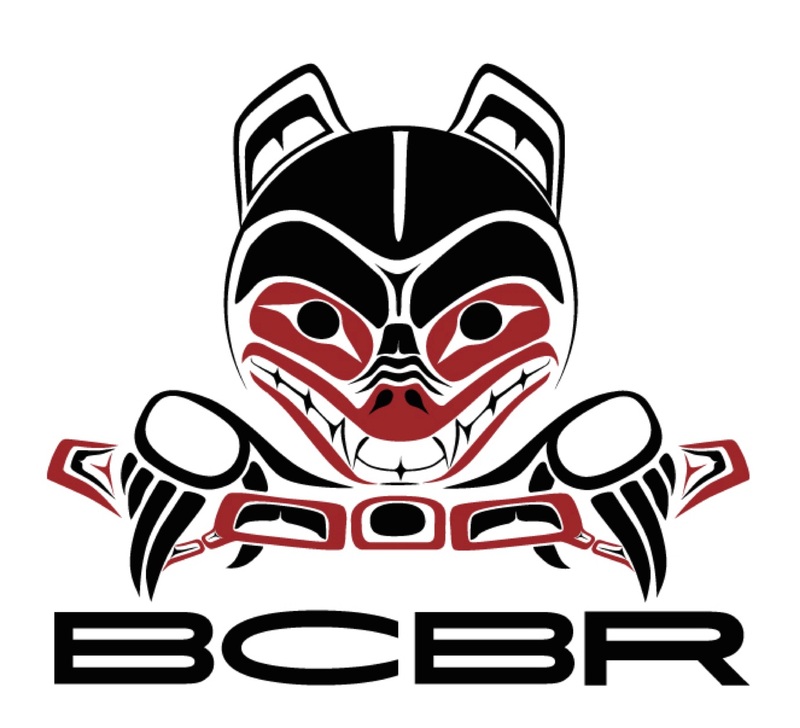 Thanks to our sponsors Central City Brewers and Distillers, Rocky Cycle, the Bike Zone, Velocity Cycles and Peninsula Cycles! 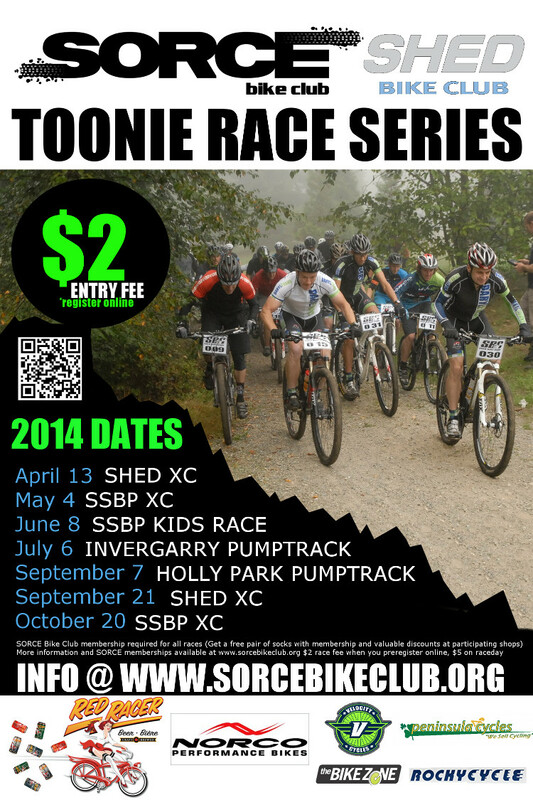 The first race of the 2014 SORCE/SHED Toonie race series kicks off April 13 in the Delta Watershed! The Toonies are a fun race series; first time racers are welcome! Food and beverages are provided after the race and we will have some great Swag from our sponsors! Meet in the Meadow. Registration opens at 9am, Race starts at 10am Sharp! 3. Invergarry update: Alpine will begin Run bike line, green & Blue jump lines construction in mid-late April 2014. 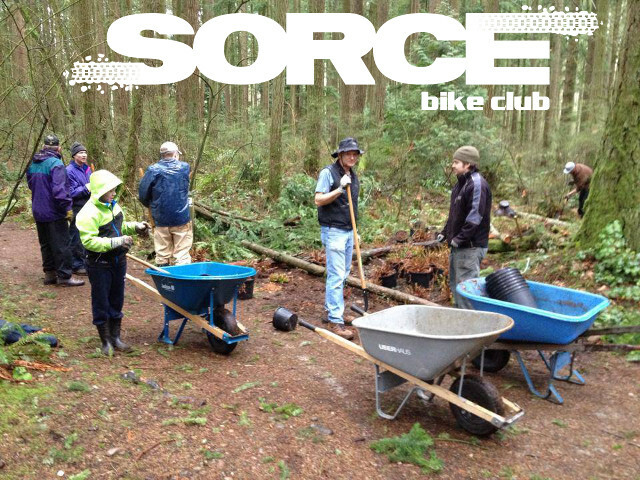 SORCE will provide volunteers for final grooming and replanting in affected areas of the park. Invergarry Grand reopening to be planned for June or July(TBD once Alpine has finished) Invergarry tools/wheelbarrows were recently stolen out of our lock box. The City of Surrey will be supplying us with new tools and increasing box security. The idea of Consistent SIgnage accross all SORCE parks wa raised. replacement of many outdated, weatherworn, and mislabelled signs is a key issue. Alpine Bike Parks was suggested as they are making signage for Invergarry and are familiar with Surrey signage standards and risk assesment. 8.Toonie Race update: Race insurance will be purchased before the first race date April 13. Timing software (webscorer) will be purchased and distributed to apprporiate Ipads prior to race. Preregistration info will be place online soon. 9. 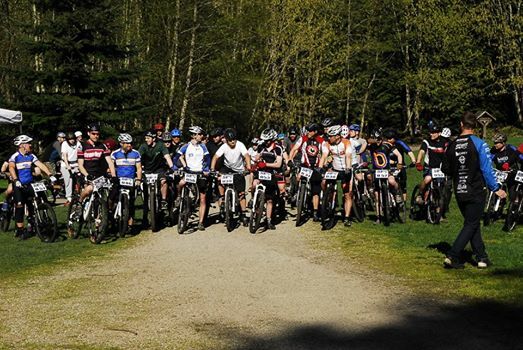 LMBA coop: We are looking into cooperating with the LMBA LAngley mountain bike assoc. in a similar way to SORCE/SHED coop. Great day on Saturday! We planted 300 plants with the help of 10 volunteers and 3 hours of work. That is 30 more volunteer hours SORCE has donated in 2014! Thanks for everyone who came out wen on a rainy day. We overplanted a couple of areas where walkers are still braiding (over fresh plants) and then closed off a major braid section of about 40 feet. We are working to restore some of the forest and reduce the maze of trails into something manageable, sustainable and rideable.